Ancient Digger teaches Archaeology and History to all Ages! 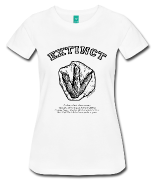 Don't forget to pick up a souvenir or a dinosaur T-shirt on the Ancient Digger online store. 30 Dirty Archaeology Jokes and One Liners That Will Have You Rolling In The Dirt! How did the Scientific Revolution Change the way Europeans Viewed The World? One of my most precious pieces from my grandmother is an Irish Blessing encased in an old golden cloth-like frame, with the glass so old, the dust hast clung to it without repeal. I happened to peer at the words today and remembered a time when things were simple. days were spent watching the horse races with my grandfather and the smells of pierogies and or clams and spaghetti filled the air. On this special day, I'm wishing you all, with even a smidgen of Irish in you, a Happy St. Patrick's Day! Here's a bit of Irish history, or rather a favorite tidbit of mine, which I published back in 2009, but I found it was quite appropriate for this special holiday. Caesar believed that the Celtic Druid's of the Otherworld preached immortality of the soul, and it would allow them to be fierce warriors. However, many believe that their souls migrate to different vessels, allowing them to live for centuries. This belief of reincarnation is quite different than Hinduistic rituals where reincarnation affected all those that were worthy. The druids believed that their souls, even when they were long gone, would be able to control their body in the otherworld. The otherworld was believed to be a place where men and women lived in complete happiness in a land that was lush and plentiful. Not to be confused with the underworld which was filled with pale wanderers and gloomy landscapes. During the 17th century, poets painted the otherworld as a "Land of the Living", where beautiful woman are plentiful and bright birds fly with ease through the river valleys. Once there, you will overcome all. However, when you leave, your hair will turn gray and your skin will shrivel. Interestingly enough, when you take note of the lyrics of Irish verse or musical expressions, it’s reaped in color and descriptions of green pastures and marvels of beauty. It was said to be a world within a world below the ground or under the sea, as was the land of Atlantis. A paradise where one never aged and all that resided were completely equal of value and importance, as was the fountain of youth. There were passages to enter, or rather secret portholes only allowed by the insight of your mind. The Cave of Cruachan was a possible entrance referenced in the story of Nera’s Adventure. The otherworld is not free of aggression or war, for many Irish and welsh tales tell of the conquering of Kings or the kidnapping of precious treasures. In the tale of the Adventure of Laegnaire, a man appears out of mist before the King of Connacht asking for assistance to claim his wife who he has lost in a battle. The son of the King sets out with 50 men to overcome his enemies and reclaim the mans wife. He returns the wife to the King, although he leaves immediately because his men have taken wives from Magh Da Cheo(The Plain of the Two Mists-name given to the otherworld by the Irish) and they wish to stay there to avoid the mortal world. The otherworld has also been clearly referenced as an abode in the Irish countryside where it welcomes limitless guests to feast on whatever they desire. Food is often refurbished by reincarnation. This picture of obscurity is often compared to the “Land of the Dead”. In the story of the “Destruction of the Hostel of Da Derga”, King Conaire is drawn to a house “bruidhen”, however on his way there he meets the three “Reds”. Their steeds are of the Donn Detscorach from the otherworld. This confirmed that Derga and Donn were one being, the “God of the Dead”, and he who enters his abode is either foredoomed or dead already. The Feast of Samhain, which happened on the 1st of November was initially where this sombre image of death predominated. The duration of the Samhain celebration according to the Celts was filled with a peculiar supernatural energy and within that they have concentrated many of their mythical events. During this time, the universe is suspended and all things supernatural and natural have no barriers. There is a “Sidn” that remains open for spirits to move freely amongst the living, sometimes with hostility. Mortals are strongly urged not to venture within its precinct. In the “Spoils of Annan”, it tells of a rather disastrous expedition by Arthur and his knights. The world becomes a fortress of glass where none of the occupants have a response, and in Celtic traditions this is surely the mark of the dead. The otherworld has not been widely accepted by scholars with the inconsistencies in the history and the folklore. The belief that only kings and nobles were able to access a world of music and fables and ordinary men were far from it’s reaches being less fortunate in the afterlife, was always questionable. We appreciate comments, but we delete SPAM. Like Ancient Digger? 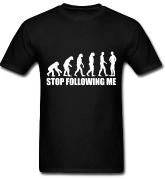 Why Not Follow Us? Are You An Ancient Digger? Definition: An Ancient Digger is anyone, not just an archaeologist, who digs for knowledge, truth, reason, science and education, and strives to share that knowledge with everyone. Lauren Axelrod is a Full Time Blogger and Educational Consultant. She started Ancient Digger back in 2008 while completing her undergraduate in Anthropology. "The site has provided me an avenue to share my experiences as an anthropology student, as well as provide insight into the field, and which directions the field can take you. Read more about Lauren or contact her. Check out the CD Infinite Garden and 1149 Productions.